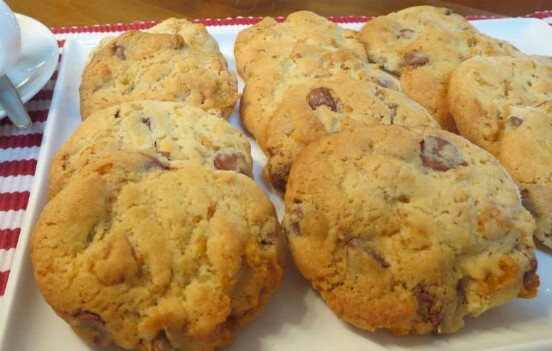 Cereal is the magic ingredient in this Cornflake Chocolate Chip Cookies Recipe. They’ll be your new go-to cookie recipe and they sure are delicious. Grab the details now. 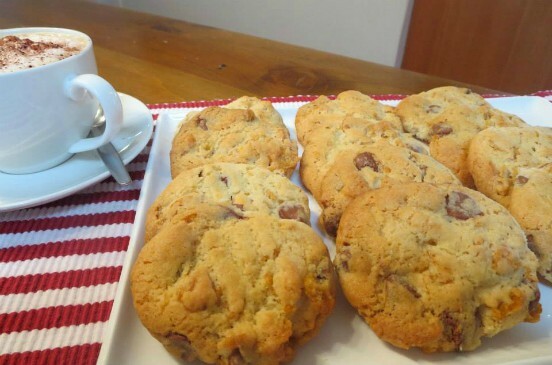 When it comes to delicious Cookies, you can’t go past this Chocolate Chip Cornflake Cookies Recipe. Wendy from Wendy’s Kitchen Table is sharing this yummy treat with us and it’s a favorite in her home. Apparently, it gets the double thumbs up from family and friends. Pre-heat oven to 180˚C/160˚C fan-forced. Line a large, flat baking tray with baking paper. Using an electric mixer cream butter, sugar and vanilla in a bowl until pale and creamy. Add flour. Mix on low speed until just combined. Add milk. Stir until dough comes together. Using a wooden spoon, stir in cornflakes and chocolate bits. Roll tablespoons of mixture into balls. Place on tray allowing enough room for spreading. Flatten balls slightly with a fork. Bake cookies for 10-12 minutes or until lightly golden. Stand for 5 minutes. Transfer to a wire rack to cool. Repeat with remaining cookie mixture.